While there are many skin care breakthroughs at the end of the last century. certainly we have one of the greatest discovery and application of Alpha Hydroxy Acids (AHAs). Alpha-Hydroxy Acids are naturally occurring acids, derived from the sugars of selected plants and fruits such as Sugar cane, Grapes, Citrus Fruits, Apple and Bitter Almonds. These acids perform at the base of the stratum corneum, dissolving the cement that holds dead skin cells together. Because this increases cell turnover, this results in skin that is more flexible, more smooth, and more even in tone. The main difference between alpha hydroxy acids and beta hydroxy (salicylic) acid is solubility. Alpha hydroxy acids are water soluble only, while beta hydroxy acid is lipid soluble. This means that beta hydroxy acid is able to penetrate into the sebum-filled pore and exfoliate the dead skin cells that have built up and clogged it. Because of this beta hydroxy acid is better used only on oily skin with acne. 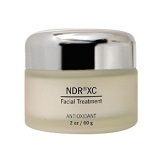 Alpha hydroxy acids are better used on thickened, sun-damaged skin. There are different kinds of Alpha Hydroxy Acids. 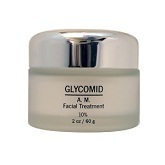 Glycolic Acid is the most active and beneficial of the AHA's in skin care. It is a natural ingredient derived from sugar cane. It has the exceptional quality of being able to penetrate the upper layer of the skin, helping peel away the dead skin cells and reinvestigation on the growth of the new skin cells. Glycolic Acid is found to be the most effective acid to be used for peeling since its molecules are the smallest among all acids, allowing superior penetration into the skin. Once inside the cell, it will trigger new formation of collagen and plump up the cell and certain substances in the skin to reduce wrinkles on the skin surface. Glycolic Acid also causes much of the stratum Corneum (the horny outer layer of the epidermis, consisting mainly of dead or peeling cells) to lift off and separate from the underlying skin. This gives the skin a much smoother look and feel. 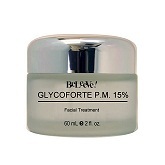 Glycolic Acid has shown to be very effective in the treatment of acne as well. 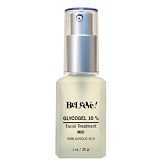 AHA Gels: Glycogel 5% Mild, Glycogel 10% Mid and Glycogel 15% Forte.